Construction on the Midland Cultural Centre began in 2010 with the grand opening held in June 2012. The building houses a Rotary Hall event space, a 120-seat theatre for the Huronia Players, and the Quest Art School and Gallery, as well as Café Roxy. Spearheaded by the Weber Foundation, the MCC was created with the intention of providing a focus for cultural activities in North Simcoe. 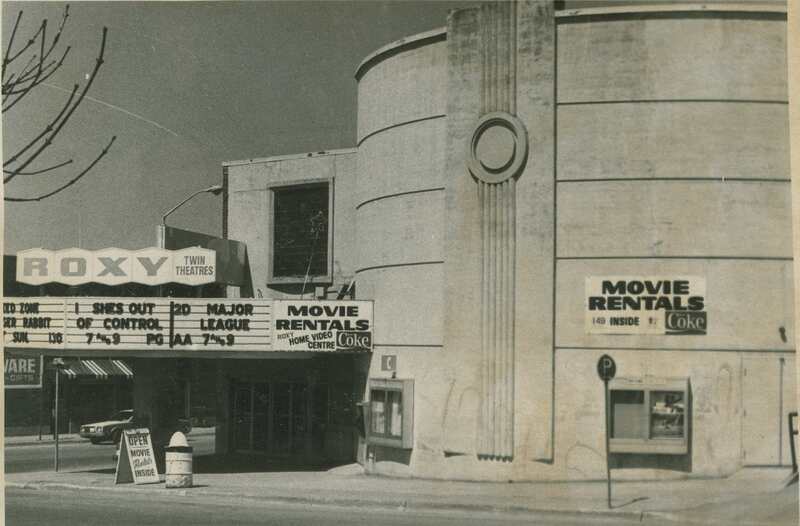 The Midland Cultural Centre sits on the site of what used to be Midland’s movie theatre. 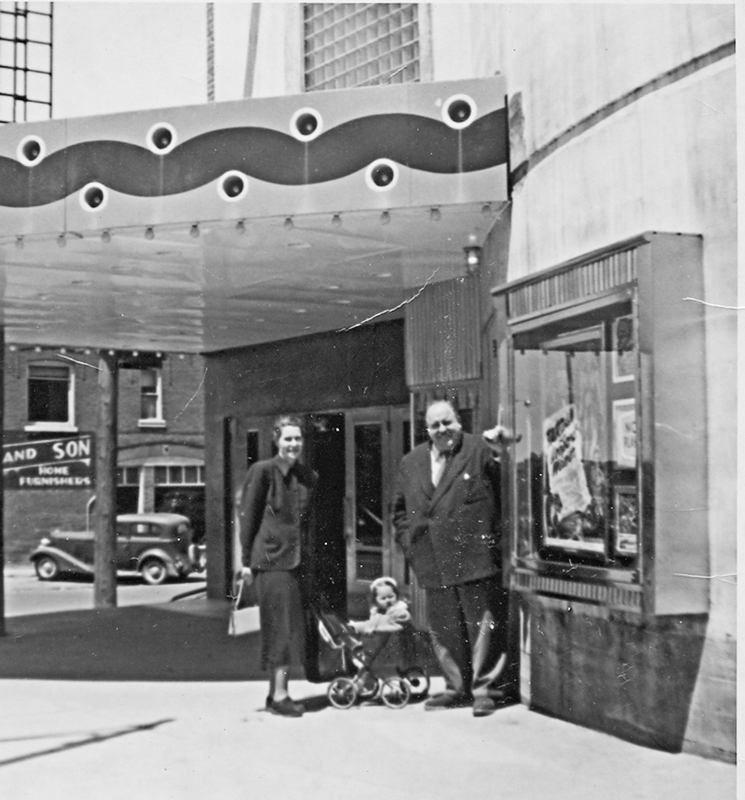 Opened in 1949 the Roxy, later the Odeon, was the go to place on a hot Saturday afternoon, sitting in the dark, eating popcorn and watching a movie. 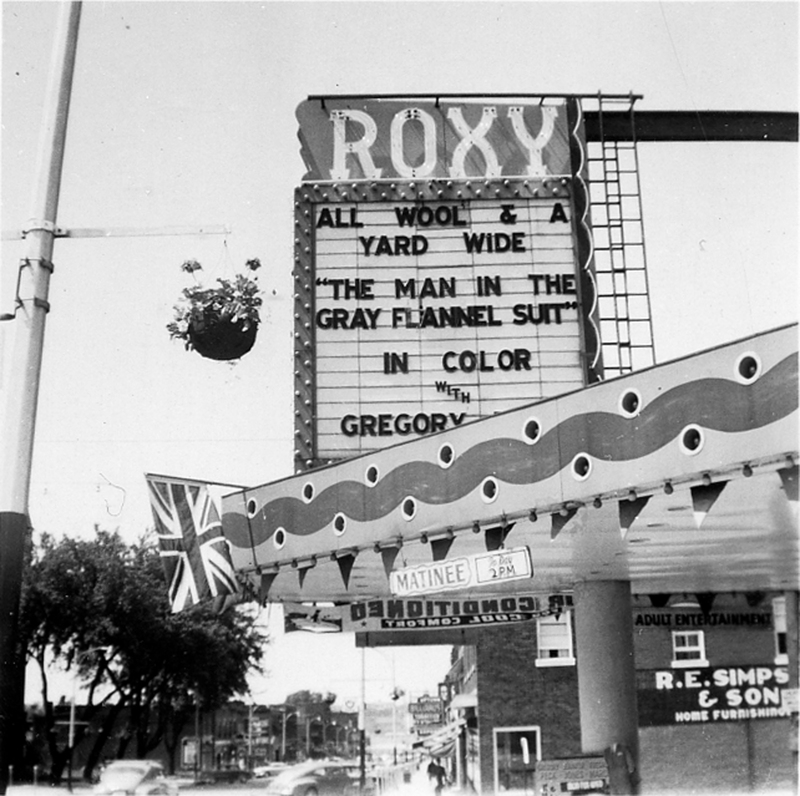 Eventually the Odeon became the Roxy Theatre again, but no matter what the name, it was still a fixture in the childhood memories of everyone who grew up in Midland. ACTORS IN PLAY “SPINSTER’S CONVENTION” TAKEN ON STAGE W. SET IN BACKGROUND. 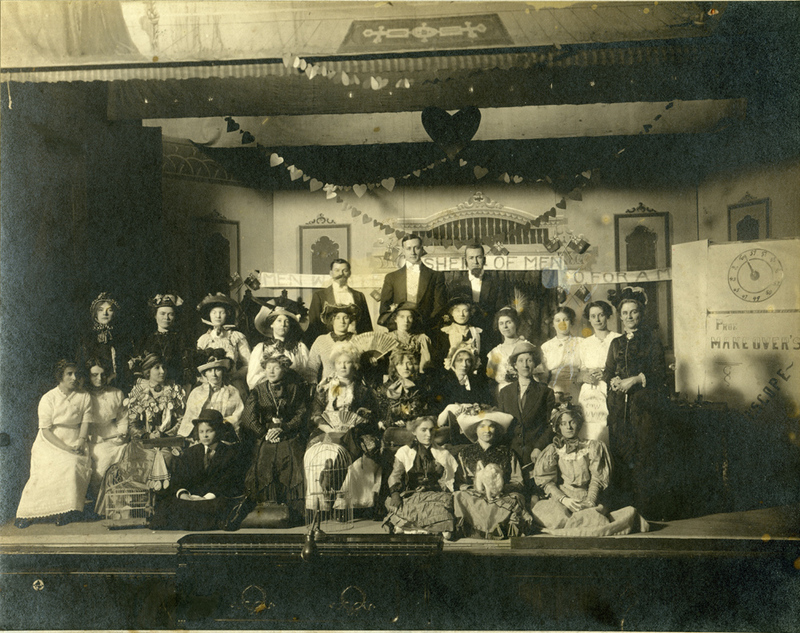 IN PHOTO:(1ST ROW, SITTING ON FLOOR):M. MCMURTRY, M. COULTER, P. SARJENT & WINNIE WHITE; (2ND ROW SEATED):IZA MORRISSON, B. ROSS, MISS DENNISON, MRS. CAMPBELL, O. MORRISON—- P. MCKNIGHT, MISS PATTON & MISS MCCLUNG; (3RD ROW):ETHEL PERRIN, ESTER NICHOLLS, H. APPLEBY, E. GILBANKS, H. COCHRANE, QUEENIE WILES, LIZ CORBETT, J. CROUCH, L. NORTON, GRACE WILSON & MRS CAMPBELL; (4TH ROW) Unknown. 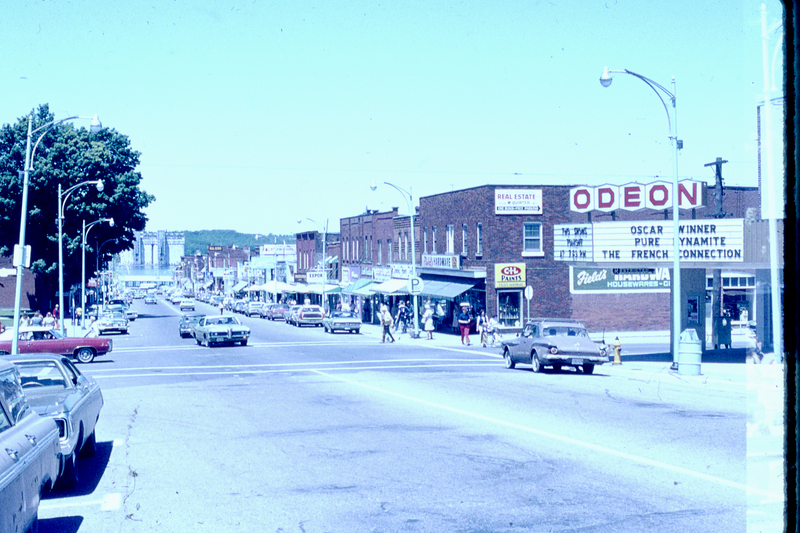 The Midland Cultural centre, on the right, only the sign is seen, in its incarnation as the Odeon Cinema. The Roxy Twin Theatres, currently, the Midland Cultural Centre. 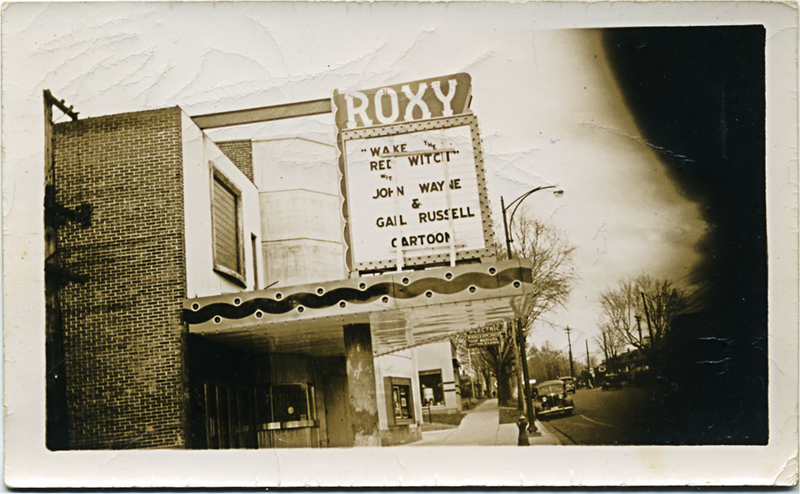 The first incarnation of the Roxy theatre (prior to becoming the Odeon). C.1956. Oustide the Roxy Theatre, C. unknown. The last picture in front of the Roxy was of the owner,Mr. Perkins,his wife and their daughter Susan.I attended school with Susan so this picture is probably 1950 or 1951. Brian, Al Perkins was the manager. as a kid I always thought he was Alfred Hitchcock.